The Austin real estate market is booming, making now the time to make a move. Whether you wish to join the many people who are moving to this great city or have a home to sell, now is the time to do so. The robust Austin commercial real estate market is also attracting savvy investors who are looking for promising returns on their investment. Here are 10 amazing facts that will explain why the Austin market is one to watch. 1. You’re not alone if you’re considering a move to Austin. An astounding 140 people move into this growing city every single day. 2. New arrivals to Austin often choose to rent. The rental market is strong and affordable. In Austin, the average monthly rent for a one bedroom apartment is $940. This is much less than the average in other large cities like New York City ($3,099) or Chicago ($1,697). 3. According to Forbes, Austin’s 2.5% annual growth is enough to place the city at the top of their list of America’s fastest growing cities. 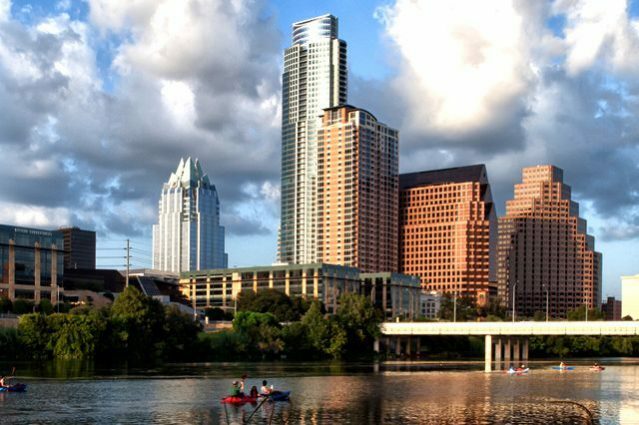 Austin has earned this honor 4 years in a row and is growing much faster than San Francisco despite the fact that both cities are similar in size. 4. Investors interested in buying properties to rent should consider looking in Austin’s Round Rock West area or areas between William Cannon and Slaughter Lanes. These locations are hot at the moment and houses there are leasing for around $1,600 per month. New West Austin neighborhoods are also attracting a lot of attention from buyers as homes there feature large lots, require only a short 20 minute commute to downtown and boast excellent school districts. 5. Now is a great time for sellers to list in the Austin real estate market. In 2011, the average sale price of a home was $251,838. By 2014, this figure had jumped to $311,222 and it had climbed to $347,734 by March of 2016. 6. In February of 2014, 46% of the houses placed on the market in Austin sold within 2 weeks. During this same time, the average number of days a house was on the market dropped to 26. 7. The third quarter of 2014 was a prosperous one for landlords. Occupancy rates for apartments in the city jumped to 95.7% to accommodate the influx of new residents. 8. Austin is becoming a hot spot for all age groups. Young professionals are moving in to take advantage of all the city has to offer and many older people are following to be close to their grandchildren and enjoy the warm weather. 9. With 215 schools in the Austin area, families have no trouble finding a school district or private institution that meets their needs. 10. The total value of homes sold in Austin in March of 2016 was $887,419,074. This represents a 14.1% increase over the total value of homes sold in March of 2015, proving that Austin is still an up and coming housing market that has maintained steady growth over many years.